Keep students active and engaged, while staff members are participating in professional development workshops. OT Fitness will coordinate a combination of different fitness activities for your students; using 3 / 4 fitness areas in the school (Gymnasium, Library, Classroom, Open area etc.) Activities include; Physical Fitness, Agility Challenge, FIA Relays, Traditional Sporting Activities and games, Dance/ Zumba, Boot-Camp, Team Building and Motivational Speakers..
With the introduction of our PLC / TLCP / PD Student Coverage Workshop, OT Fitness has successfully saved between $500 and $2000 per school in TDSB, Peel and other school boards. 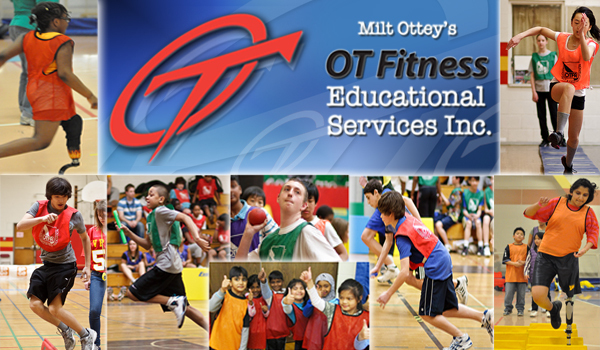 OT Fitness will engage your students in safe, fun, physical fitness activities with minimal involvement of other staff or supply teachers. Many of our schools have used our services 3-5 times throughout the year. 2.5 – 3hr activity session for the AM or PM. Activities will depend on space available. We are very flexible to the changing needs of schools throughout the day’s activities. We understand that a quick start to your morning and afternoon meetings maybe necessary. OT Fitness staff will be ready to receive your students’ right after the attendance and announcements. Please instruct your teachers to bring their students to the designated activity area before reporting to the meeting. Due to the nature of this event OT Fitness cannot reschedule a PLC / TLCP at the last minute due to weather conditions etc., therefore all PLC / TLCP Fitness workshops are scheduled to take place indoor. However, should the weather conditions make it possible to have some or all events outside, we will demonstrate a degree of flexibility as appropriate. The final decision will be at the discretion of the OT Fitness staff Team leader on site in agreement with the principal. Please note that we are experts in the product that we delivery and everything we do is focused on the students, so safety is always our primary concern and every member of our staff upholds the appropriate safety standards. All OT Fitness programs start with an introduction to include event explanation, safety and expectations for the day. We encourage the participation all teachers and support staff that may be in the gymnasium so please come ready to participate! WE RECOMMEND THAT AT LEAST ONE REPRESENTATIVE OF THE SCHOOL BE PRESENT AT EACH ACTIVITY AREA.